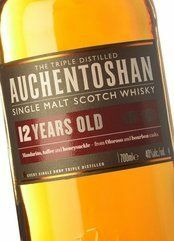 Auchentoshan 12 is a whisky of international renown, produced with the triple distillation which characterizes this brand before ageing for 12 years. It is a faithful representation of this distillery's whiskies — clearer and less spicy, with aromas of toasted almonds and toffee delivering its characteristic smooth and delicate taste. A single malt whisky to seduce you from the minute you first smell it to the last drop. Lovely triple distilled lowland whiskey that I would consider my favourite every day drinker. Goes down far too easily as most Auchentoshans do but in this price range you will struggle to find better. Fantastico Single Malt. Redondo y muy fino . . . . . . . . . . . . .
Comme son origine l'indique, c'est un amour de Whisky. 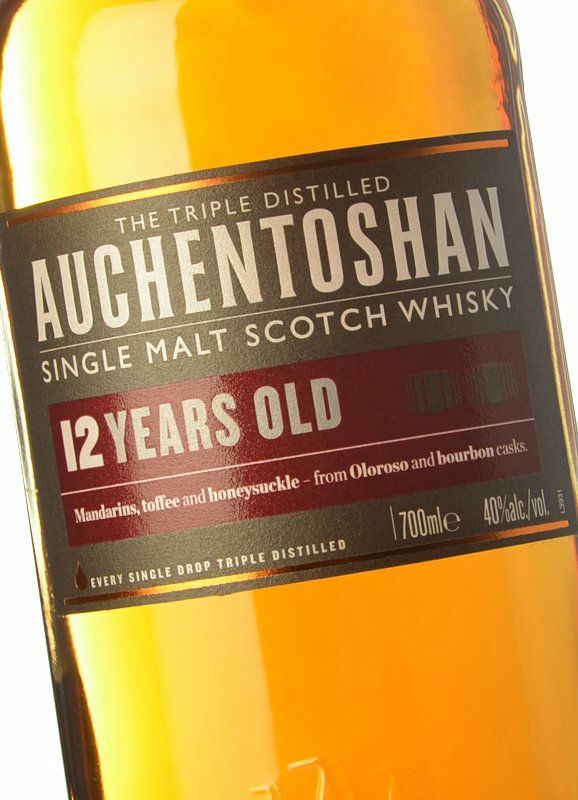 Si vous êtes stressés, qu'un ami ou votre épouse vous énerve, asseyez-vous, soufflez un bon coup, dégustez un " AUCHENTOSHAN 12 " et ça repart !!! A little fruity yet it has some dry woodiness. A touch of smokiness mixed with sweetness. A little bitterness yet some sourness. Money well spent.